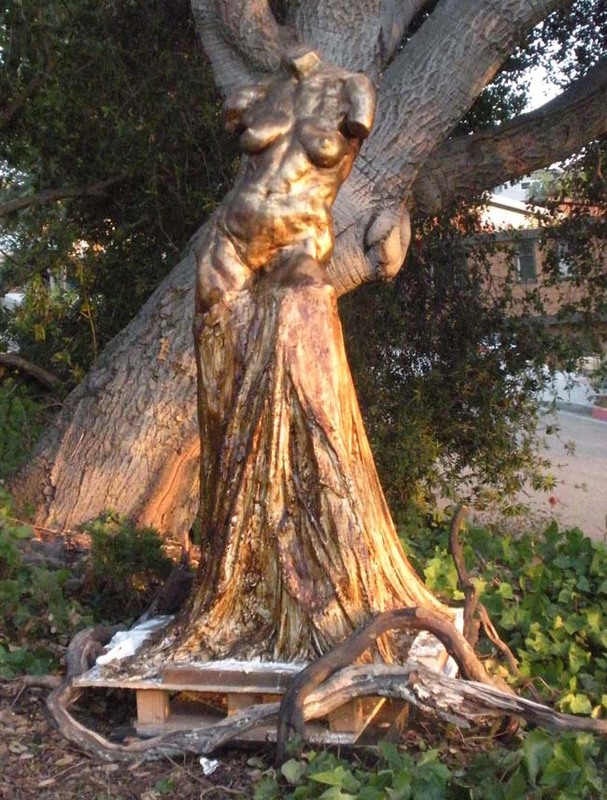 SLO County's Open Studios Art Tour Spotlight on the Artists! Jim plus five other artists! Jim Tyler has teamed up with these other artists to make visiting even easier. 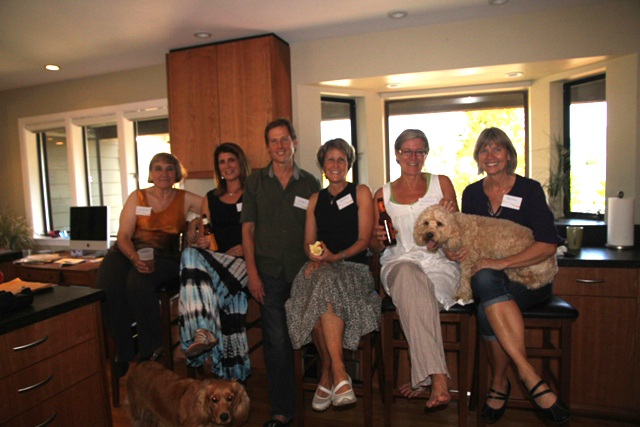 From left to right, are Jackie Bradley (silk, studio #117), Kari Appleton (jewelry, studio #112), Jim Tyler (paintings, studio #176), Leigh Ramirez (jewelry, studio #163), Heidi Petersen (ceramics, studio #159), Sheri Klein (fused glass, studio #147). And, of course, mascots Stella and Finnegan. Visit all of these artists between 10:00am & 5:00pm, October 20th & October 21st at 104 Twin Ridge Dr., San Luis Obispo. More information about the Tour can be found on ARTS Obispo’s website. Ron has decided to keep his studio open the second weekend of ARTS Obispo’s Open Studios Art Tour! 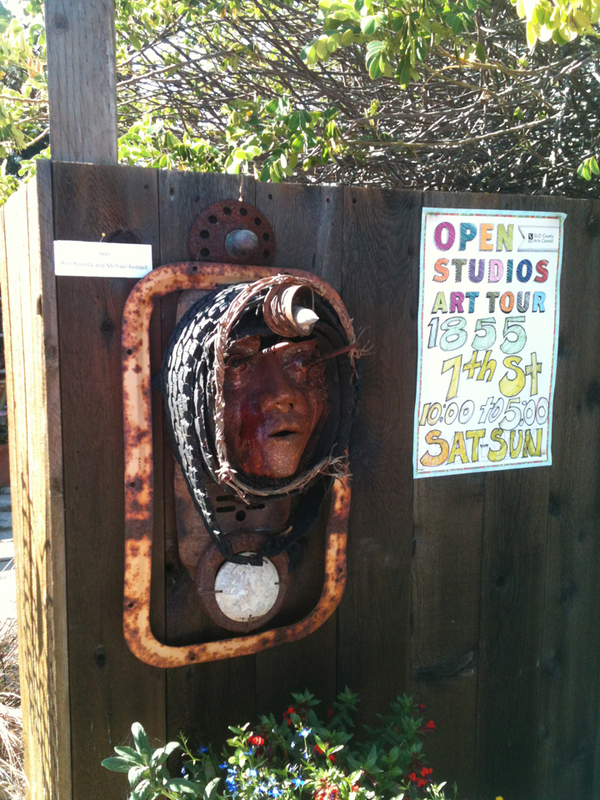 Visit Ron’s studio October 20th and October 21st in Los Osos (studio #108, page 23 in the Open Studios Art Tour catalog). 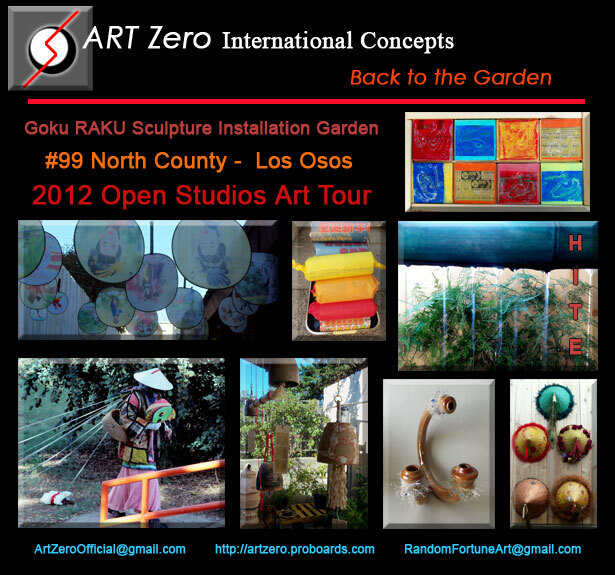 There are ongoing activities in the Goku RAKU Sculpture Garden at Studio #99 in Los Osos during Open Studios Art Tour. Guests may become participants by contributing their favorite “yes!” moment to an artist-produced scroll of colorful tissue paper and China Town newspapers. The “yes” moment that inspired this interactive book, was looking all over China Town for all things red in San Francisco. On my scavenger hunt list were paper lanterns, a fan-shaped sumi brush set, and a red satin runner for the books jacket. Woodblock printing of Samaria eyes to decorate Japanese scarecrow sculptures is available beginning at noon the 13, 14, 20 & 21st. 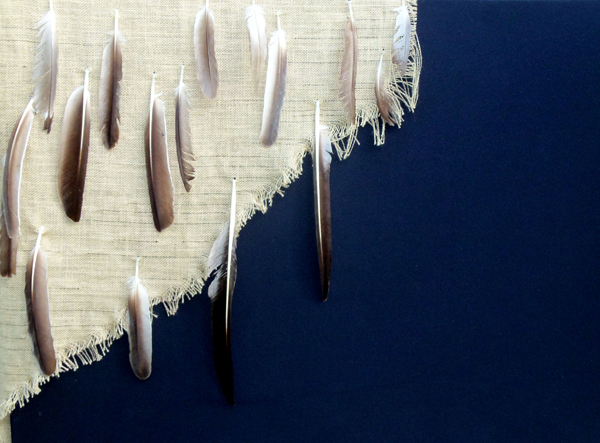 Guests are invited to add feathers to an interactive artwork, “Broken Wing,” to commemorate the avian loss due to coastal infrastructure projects, like “Dig Los Osos” and seismic testing. 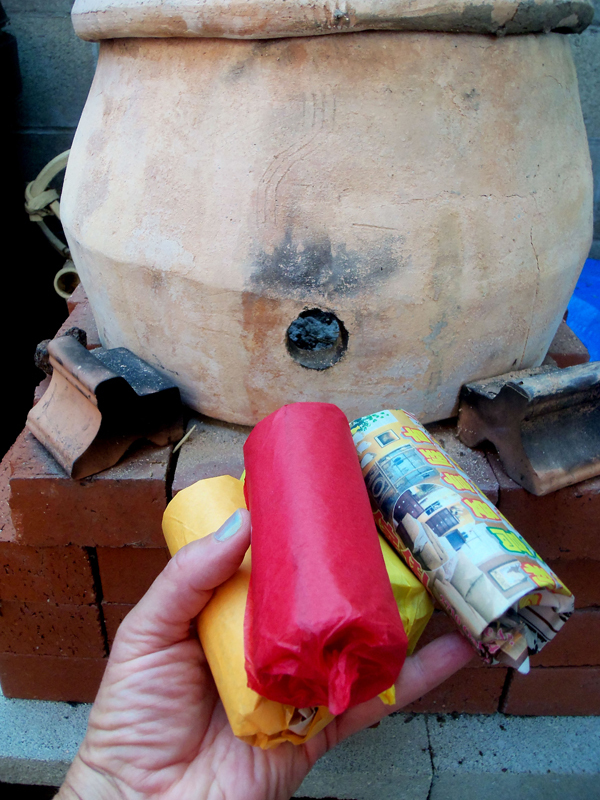 Burning colorful, flammable, recycled “BTU’s” in an experimental ceramic kiln starts at noon on Saturday, October 20th. Dr. C. Hite and her Goku RAKU Sculpture Garden will be open both weekends of the Open Studios Art Tour. …Crimson Heart Studios and Tuscan Road Designs! Best friends and fellow artists, Cindy Dubbers and Holly Louen have combined their resources and art into one location, Cindy’s working studio in Arroyo Grande for both weekends of Open Studios Art Tour. 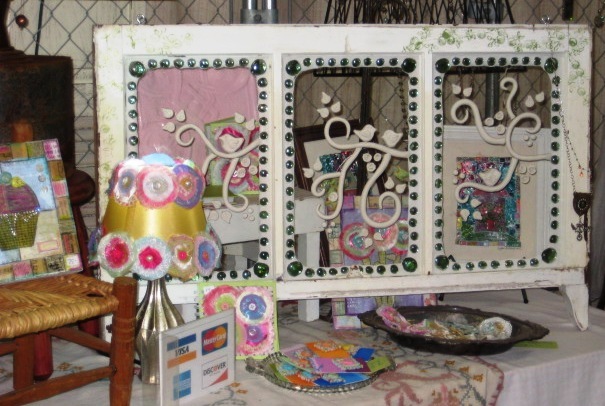 Cindy at Crimson Heart Studios is a creative mixed media artist specializing in home decor, custom sari silk lampshades, succulent gardens and embellished vintage furniture. Holly at Tuscan Road Designs specializes in handcrafted gemstone jewelry utilizing components gathered from numerous world travels. 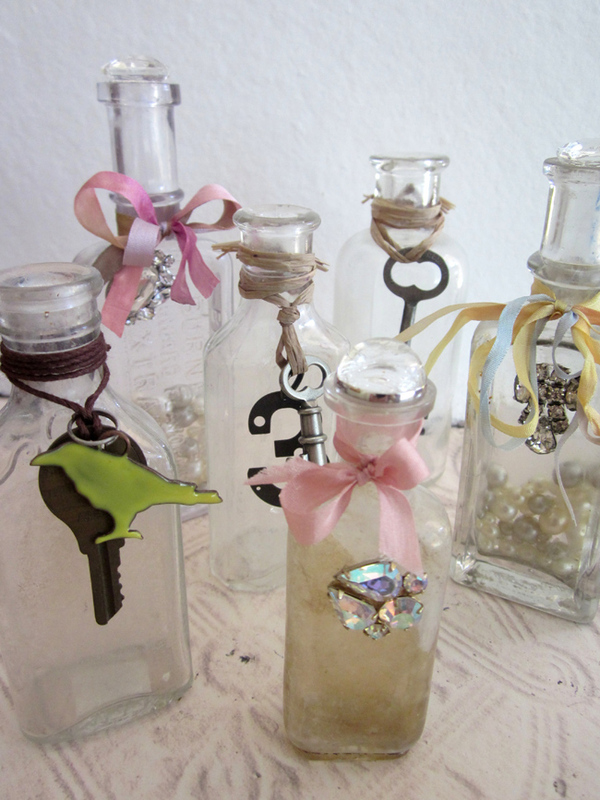 In addition, you will find unique home decor items such as wine bottle stoppers and decorated vintage bottles. Check out their ad in the Open Studios Art Tour catalog on page 53. Catalogs can be downloaded on ARTS Obispo’s website or printed copies are available throughout the county (locations are also listed on the website). Rich and Kersti Lasiewski will have several demos during the tour, so be sure to stop by their Arroyo Grande studio (#213, page 49 of the Open Studios Art Tour catalog). 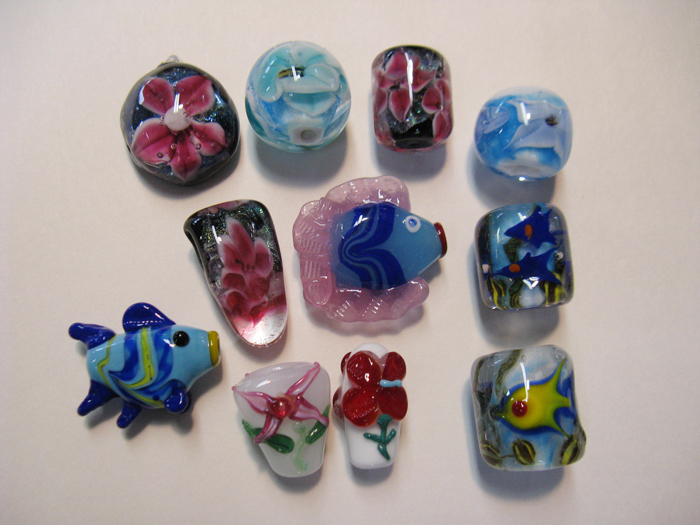 Rich makes glass beads in a torch and may include methods of decorating the beads for anyone interested. 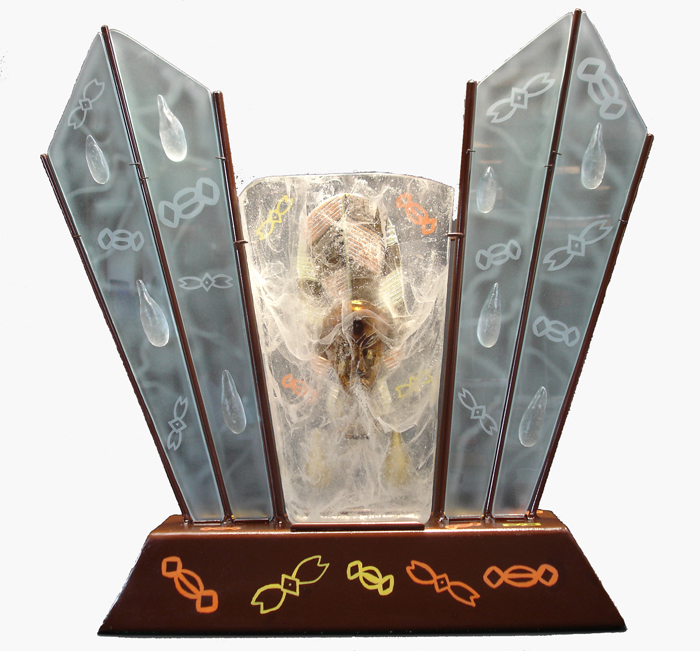 In addition, both Rich and Kersti will explain making fused glass pieces and are glad to discuss different methods of casting glass. Their kilns will be set up for the discussions. Have a smartphone? Download the Open Studios Art Tour app from your phone’s app store. Or, you can find a catalog online or printed copies throughout the county. Tour information and a list of catalog distribution locations can be found on ARTS Obispo’s website. 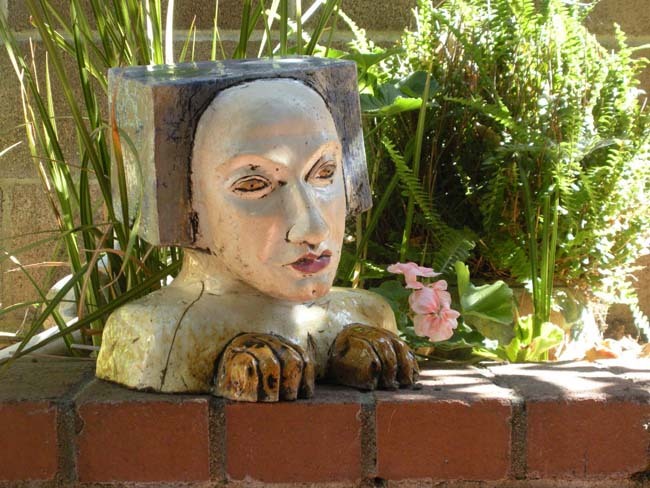 It all started with the funny head pictured above – Self Portrait as Sphinx – the result of a Ceramic Sculpture class I took from Barry Frantz at Cuesta College in 1983. I was twenty years old. Oh, I had been immersed in art from the time I was a child. My mother was a painter, and a career public school art teacher. And, as a child, I was always as much of a “museum junkie” as my parents would allow. I just could never tear myself away from looking at beautiful art. But, the practice of it had always remained a bit remote for me. Perhaps having seen some of the world’s best art intimidated me? But then I got my hands in clay, not on a spinning wheel, but to build sculptures. I suppose I’ll never know quite why– it just clicked. That “click” led to a passion for figure sculpture and three years study at the Art Students League of New York in the early 1990’s. There I soaked up all I could about the practice of figure sculpture, studying with more master teachers than that first one here in SLO. And twenty years later, I’m still exploring my passion. Come by and see the results in person both weekends of ARTS Obispo’s Open Studios Art Tour. Look for studio #179 in the OSAT catalog. You can also see more of Lindsay’s work on her website. Keep an eye out for the rest of these pieces and many more when you stop by my San Luis Obispo studio during the Open Studios Art Tour on the weekends of October 13th and 14th, and October 20th and 21st. See new bracelets, necklaces, fabulous earrings and nibble on some cupcakes. Also, enjoy my succulent garden as you weave your way to my studio. Joining me this year is Karen Wilkinson, an accomplished fiber artist. She will have her beautiful silk scarves, as well as her woven pillows, sweaters, and more. Look for us in the Open Studios Art Tour catalog for artists #142 and #180; we can’t wait to see you! You can also find more examples of Sue and Karen’s work in ARTS Obispo’s Visual Artist Directory. "In my studio I am…"